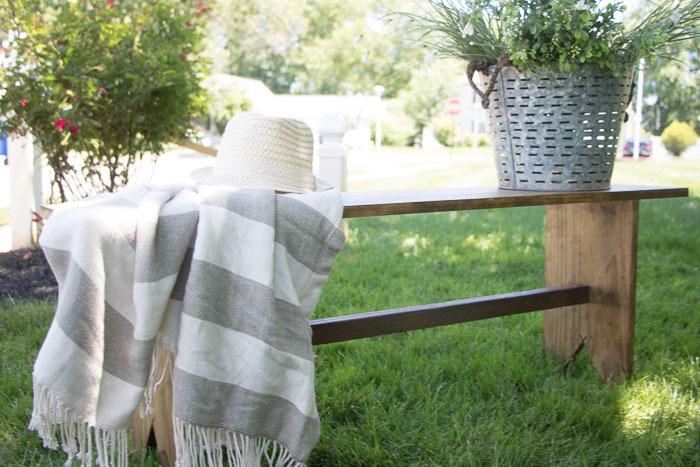 Creating a “vintage” DIY Farmhouse Bench, is easier then you think! 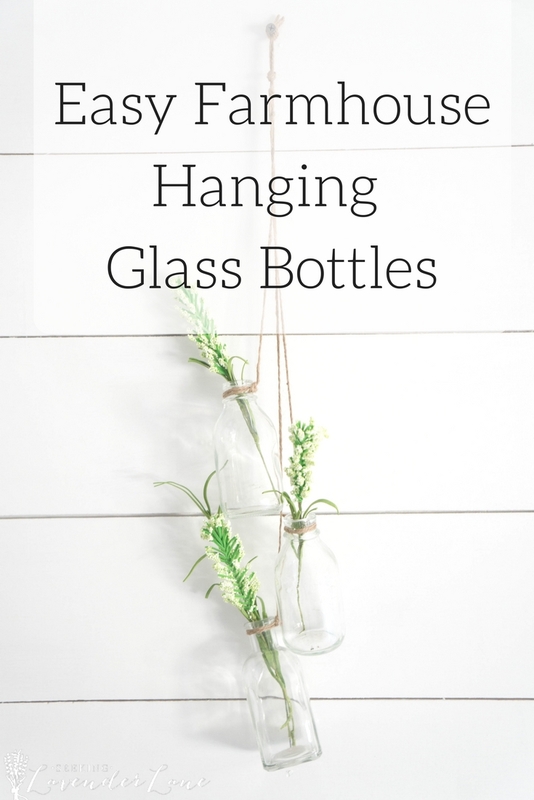 If you’ve been around here for a while, then you know I love an easy and cheap DIY project to create. 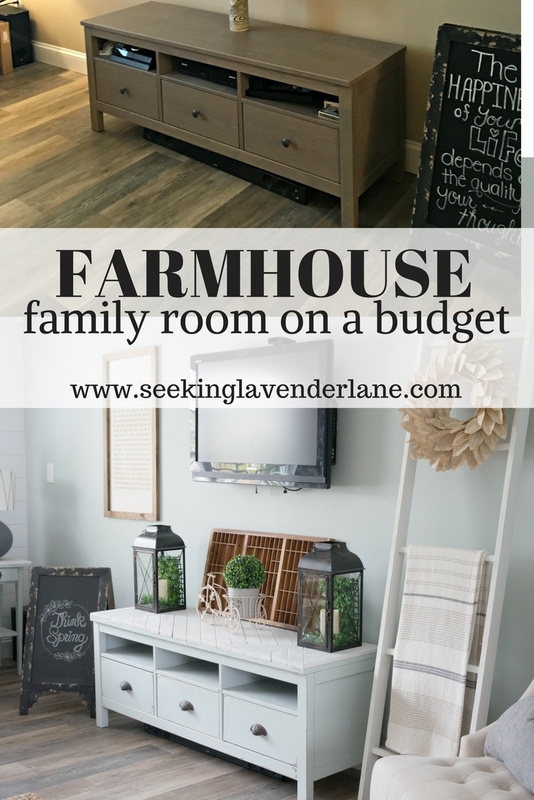 A few weeks ago we decided to create a Easy DIY Farmhouse bench as a coffee table for our family room. We knew it would be one of those projects that would take less then an hour to build, so the hubby was totally on board with helping my make this on a week night. This was probably one of the easiest DIY projects to we’ve done in a while. Which was kind of a nice break, since so many of the projects we’ve been doing have been complicated or taken some time to do. First, Cut Plywood to length that you desire for Bench Top. 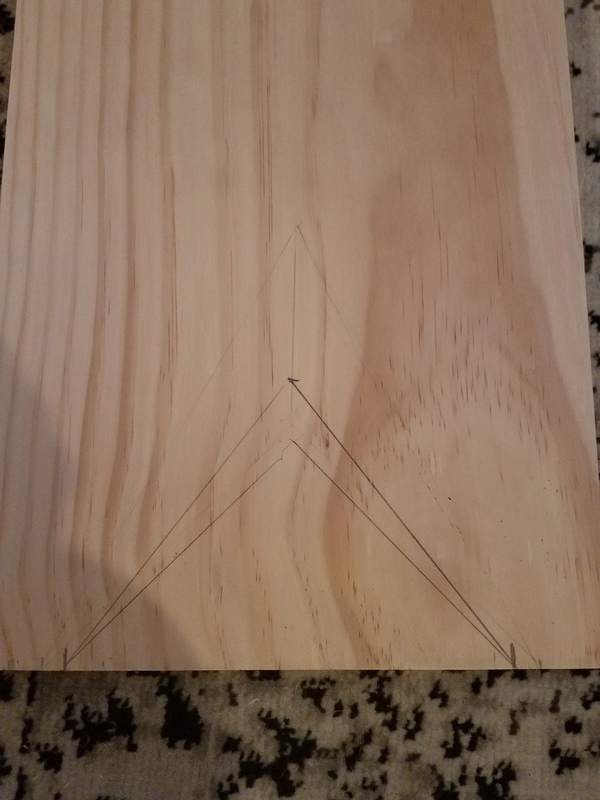 Add a Supportive Beam with a 2×2 between bench for support. Create Mid-point and then arched triangle 1″ higher. 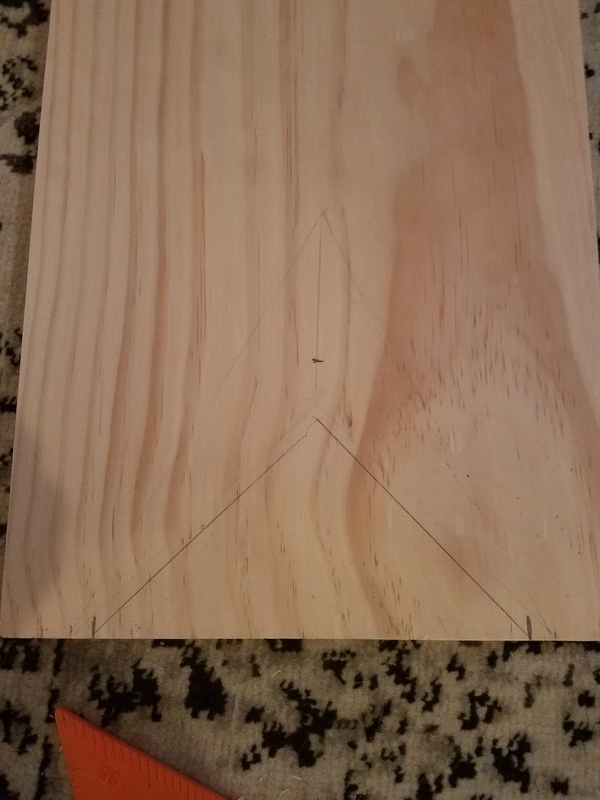 This will give it a more exaggerated triangle shape to the legs. Assemble bench using nail gun. We also added a support beam and drilled that so have extra support. 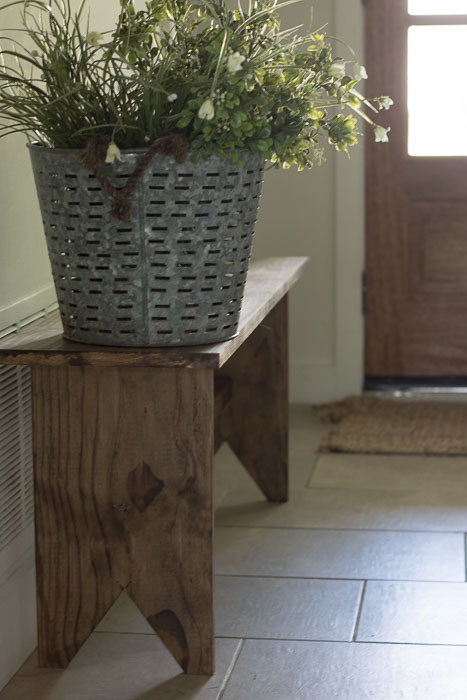 We had plans to make this our coffee table, but then after staining I put this Farmhouse bench in my entryway and just loved it there. Thanks Angela! Seriously super simple, I did not get any complaints on this one from the hubs! Hi Deb. Thanks for sharing at Inspire Me Monday. I wanted to let you know that you are one of my featured picks this week. 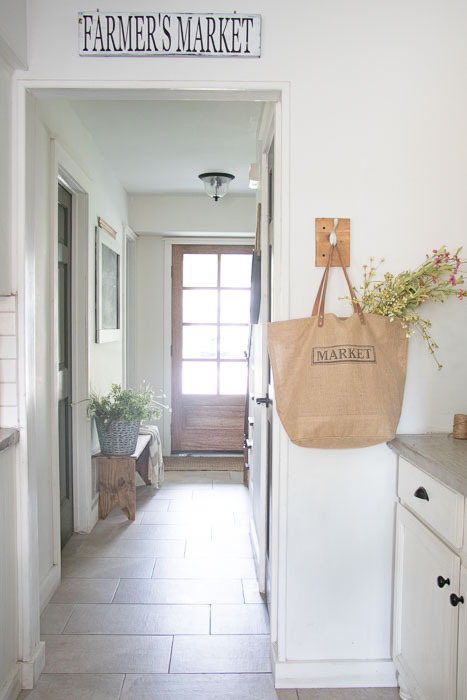 Come check it out at http://www.farmhouse40.com/inspire-me-monday-141 at 9:00 a.m. EST Hope to see you there. Nice job. Loving how simple it was too. Hi Deb. 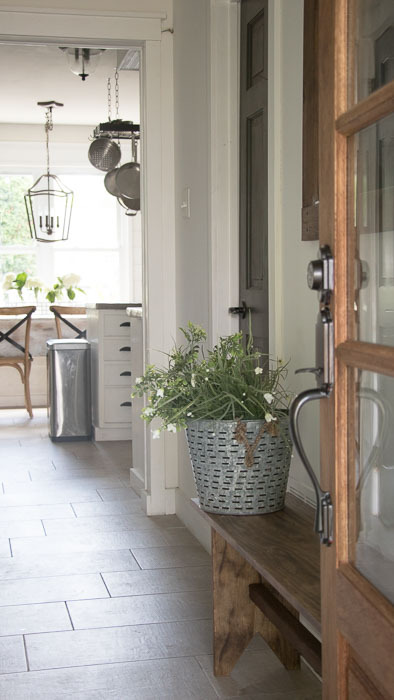 Stumbled on a You tube featuring your home it is absolutely adorable!!!! I am an much older gal living in Magnolia ,Tx and am in the process of remodeling a 70’s small house. Farm house I guess you could say. I just love all you’re DIY projects. I do not have the gift of decorating and it all gets over whelming. Anyway. My husband is phenomenal with wood work which I am very blessed to have. We are doing this ourselves. Question we have a wood burning stove (fireplace) in our den with brick columns that I would like to paint ( white wash) Do you have a DIY on this? I will be trying a lot of your projects. Please let me know if you have a you tube channel!!! So grateful I found you! Blessings from Texas! Hi Ally! Thank you so much!!! Yes, my dimensions are…4ft long and 11 inches wide. Hope this helps! We need to replace two benches that we use for tables and sitting. Do you think this is stable enough for a couple of people to sit on? Colette, I’m not quite sure it will be stable enough. I use mine as an entry bench so we really don’t sit on it much. I would maybe build something more stable. Or tweak this a bit to make it more stable. I hope that helps!